Please share your location so we can show you the next distributor. How can we help you? Which product do you need? Extremely fast one-component MS-Polymer adhesive with high tack performances. 1. 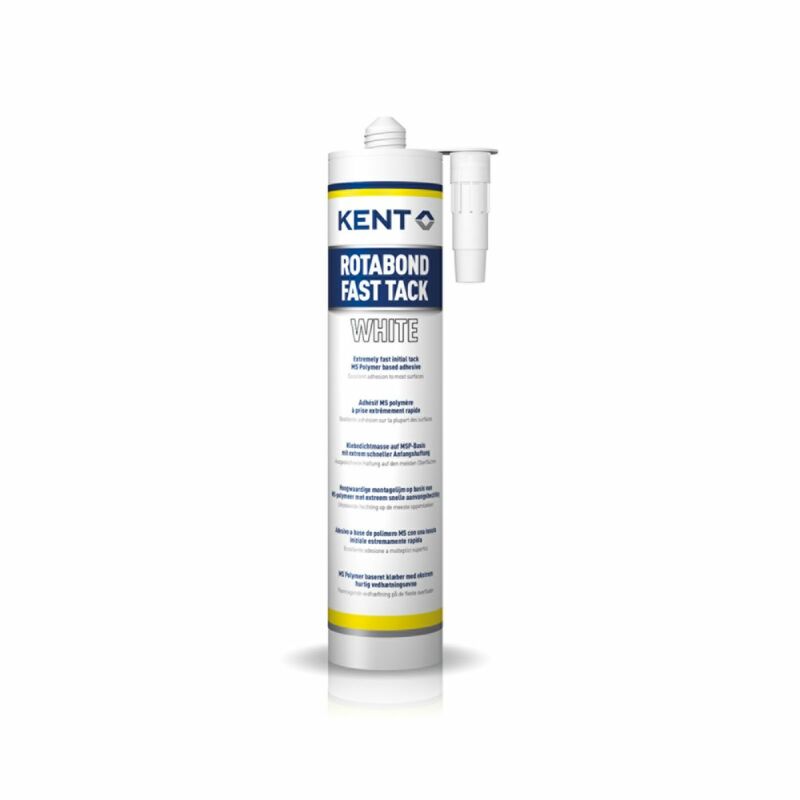 Ensure surface is clean using KENT Soft Surface Cleaner and allow to dry. 2. Apply Rotabond Fast Tack as required. 3. Assemble the parts within 5 minutes. N.B Etch primers must not be applied OVER the top of this product. Please note that all KENT products are sold exclusively to commercial customers. Don't miss out on exclusive offers and product news! Subscribe to our newsletter!